So here's a quick and easy activity that we did in my class the day before Spring Break started. 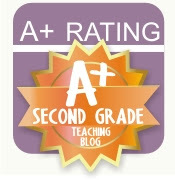 I wanted to come back to a classroom full of bright, happy, Spring-like images. So why not rainbows? So here's how this activity worked. First they wrote their names vertically down a page of their journal. Then they had to come up with words to describe themselves.They had to find one that started with each letter of their names. Now of course, some of the letters were difficult, so they were allowed to use dictionaries, and if they were struggling readers, I helped them a bit. It didn't seem fair to me that some kids had to find 9 words, and others only had to find 4, because their names were different lengths. Once they had written all the words down, they chose the colours they wanted from the strips of paper that I had pre-cut in rainbow colours. They wrote the words out on each strip of paper in capital letters with a pencil. I double checked that they had spelled them correctly and then gave them a sharpie to trace them. The clouds were made from 11 x 17 inch photocopy paper. I drew a cloud shape, and then photocopied enough so that each child got 2. Once they had cut out two clouds I showed them how to write out their name with a pencil. I wrote the first letter for them to show them how large I wanted the printing to be. Again, once they wrote their name carefully and I double checked it, I gave them a sharpie to trace out their name. Finally I gave them back their strips of coloured paper, and the cloud with their name on it and they glued them down on the back of the cloud. 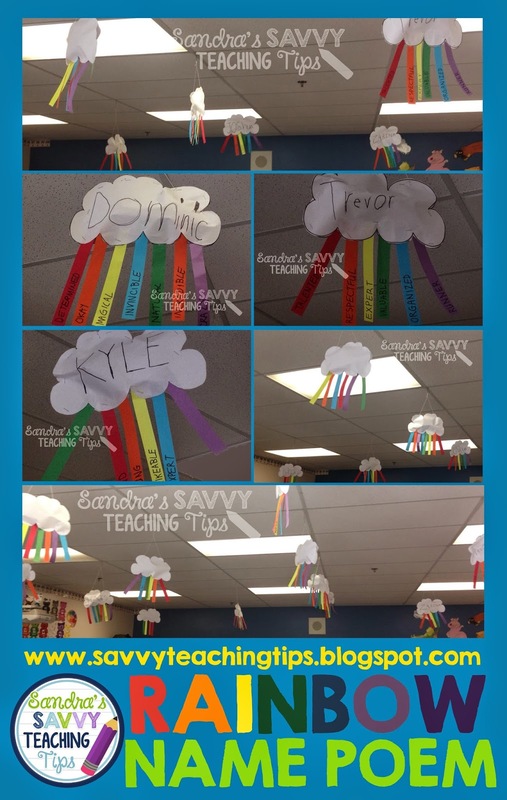 If their name was shorter than 7 letters, I asked them to go get the remaining rainbow colours and they could glue those down so that they had a full rainbow below their cloud. You can see an example with Kyle's cloud in the photo above. And then finally I took their pieces and stapled together the cloud. I crumpled up a piece or two of scrap paper to give the cloud some filling. And I attached the strings to the top and hung them up around my room - I really like how happy they make my room look now. 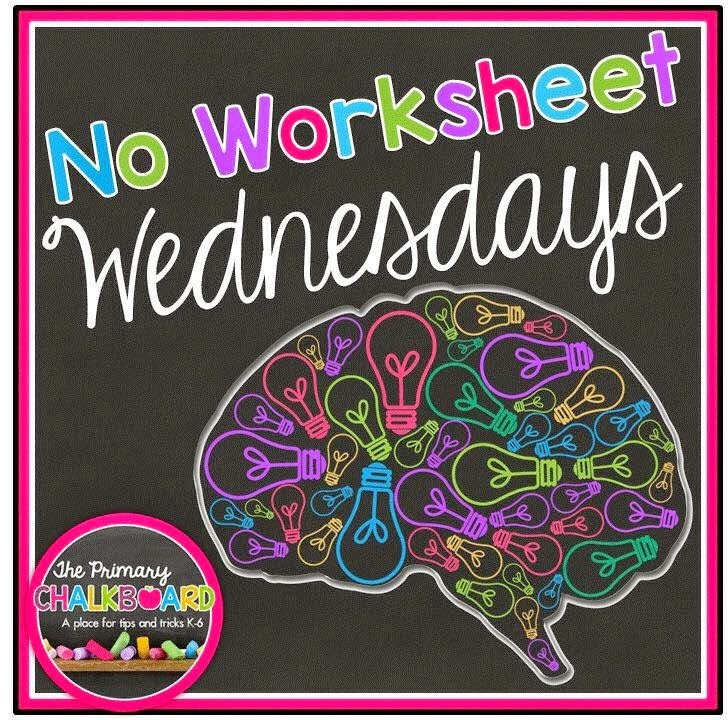 I'm linking up with No Worksheet Wednesday over at the Primary Chalkboard. Hop on over and check out all the great ideas.